This water-free solution contains 0.2% pure retinol, an ingredient that can reduce the appearances of fine lines, of photo damage and of general skin ageing. While retinol has been studied extensively, it is irritating to the skin and newer technologies exist that mimic the visible effects of retinol without causing skin irritation. 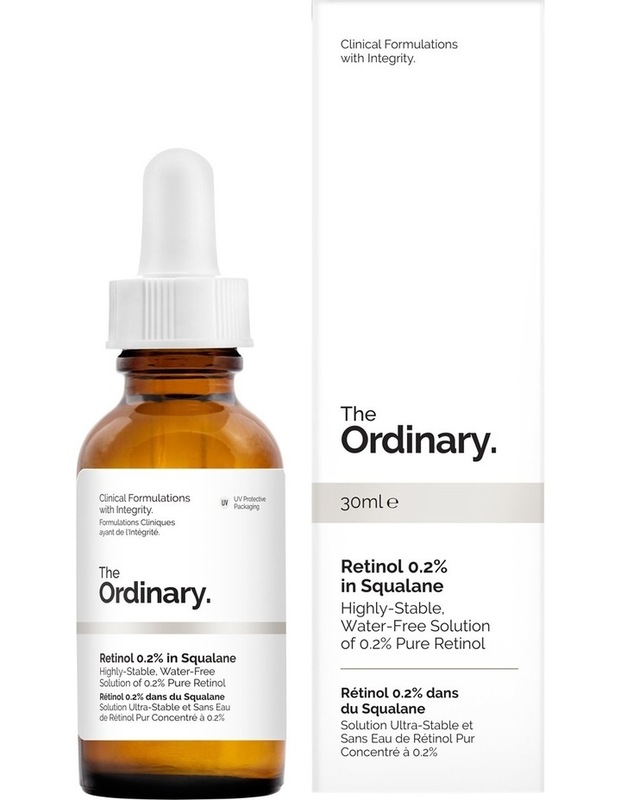 For this reason, we generally recommend usinggranactive retinoid 2%orgranactive retinoid 5%instead of this formula. Caution: retinol can cause significant irritation, redness and peeling, especially around the eyes and mouth, in the early stages of treatment while skin builds tolerance. If you have not used high-strength retinol formulas in the past, we strongly recommend that you start your retinol regimen with our retinol 0.2% in squalane and adjust to higher strengths of retinol 0.5% in squalane and retinol 1% in squalane as your skin builds tolerance. You will achieve the same end results without the unpleasant redness and peeling along the way.